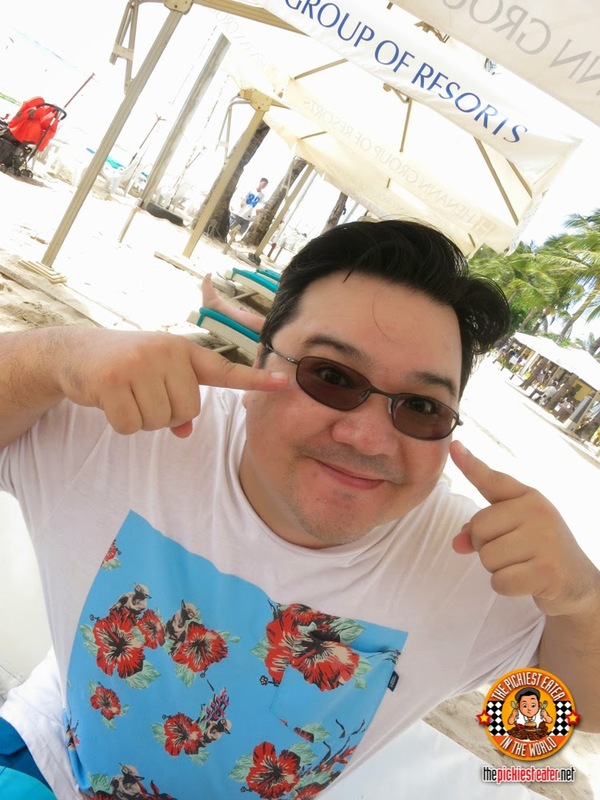 THE PICKIEST EATER IN THE WORLD: BREAKFAST AT CHRISTINA'S.. BY THE BEACH With Transitions® Signature™ Adaptive Lenses! 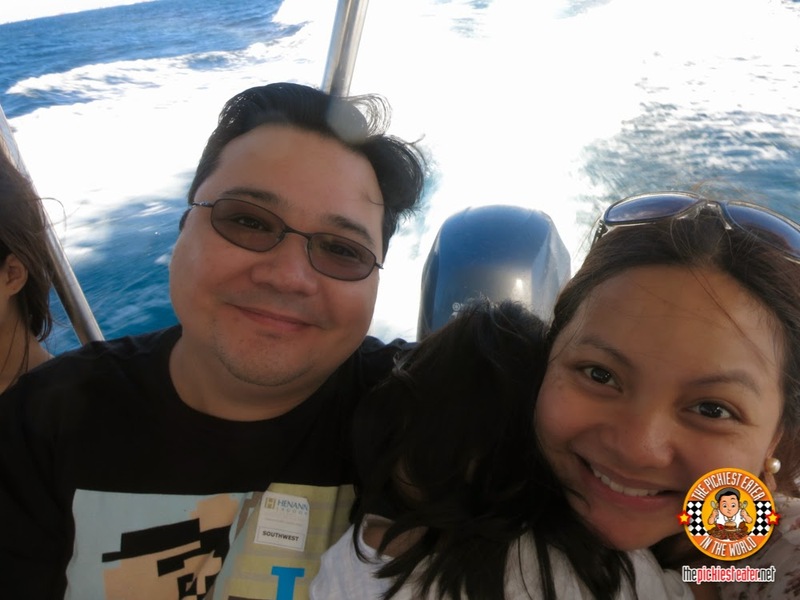 BREAKFAST AT CHRISTINA'S.. BY THE BEACH With Transitions® Signature™ Adaptive Lenses! 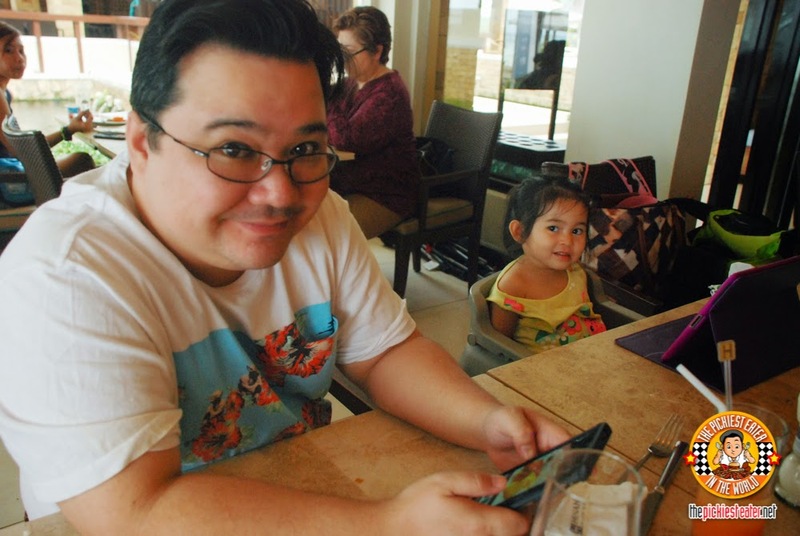 This year, our family got the chance to travel again to Boracay! I know a lot of people may feel that Boracay is already too commercialized. Which may be true, but they still have the best white, powdery sand I’ve ever felt and seen. And it’s because of this that we still enjoy going back. 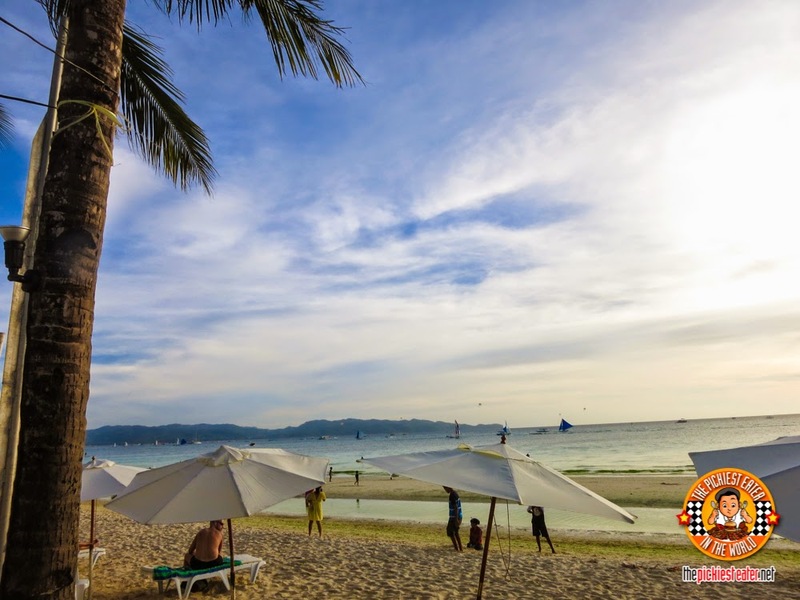 This summer, we stayed in the beautiful Henann Lagoon And it is during this time that we realized how large the Boracay Regency properties are in Boracay. Large and beautiful! 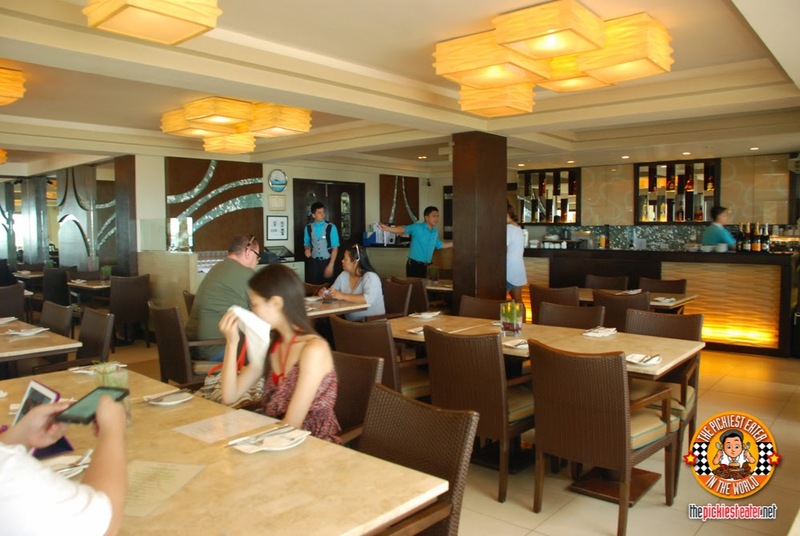 This includes Henann Lagoon, Henann Gardens, Boracay Regency, Sea Breeze Cafe, and this small little but lovely restaurant where we had a delicious breakfast... Christina’s. 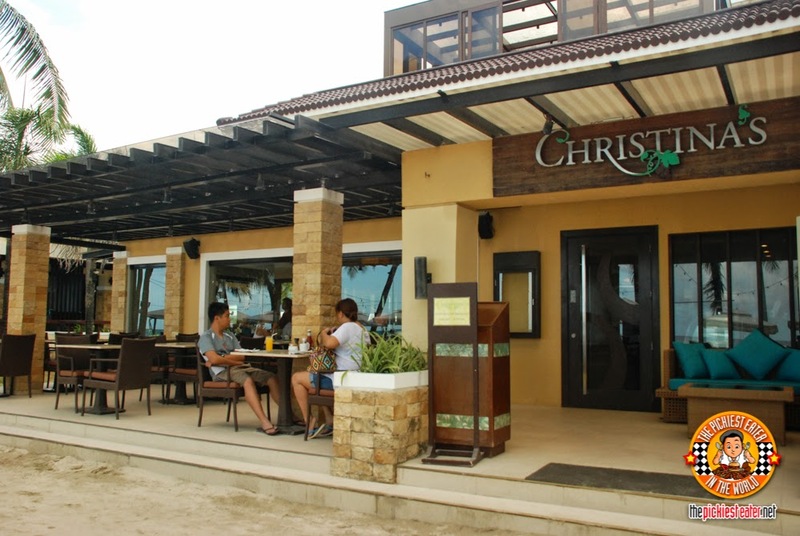 Christina’s is located right beside Seabreeze Cafe. It’s not that big, but very cozy. A perfect setting for a lovely breakfast. And this delicious arroz caldo which Rina had two servings of. She says she would have gotten another serving if our ala carte orders didn’t arrive. Rina had the American Breakfast. Fluffy scrambled eggs, 2 breakfast sausages, sauteed button mushrooms, hash browns, baked beans, some grilled tomato, and toast. Oh, and of course, BACON! To which Rina wanted to order more bacon. Check out the caption! I on the other hand ordered the Spanish Hash. 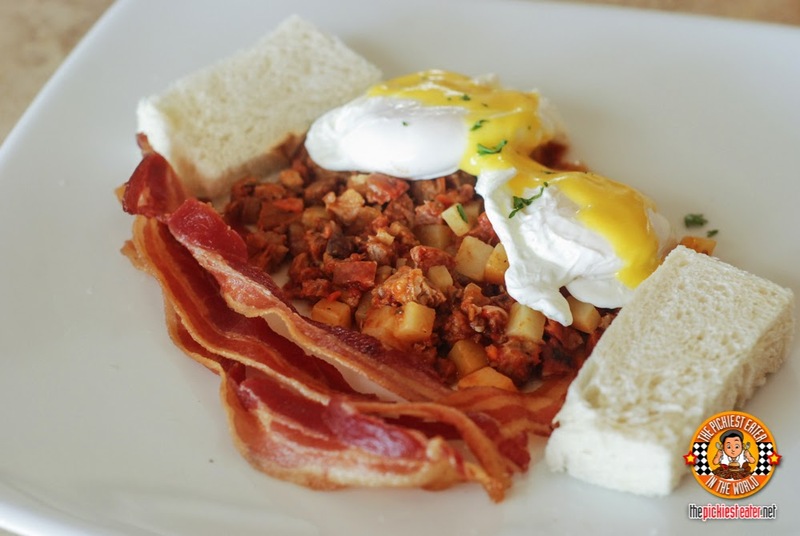 With corned beef, diced tomato, chorizo, two poached eggs, hollandaise sauce, and thick toasted bread. And of course, to state the obvious, I ordered extra bacon too! Our table mate Jane Chua of Between Bites I think ordered the Taste of Paris. 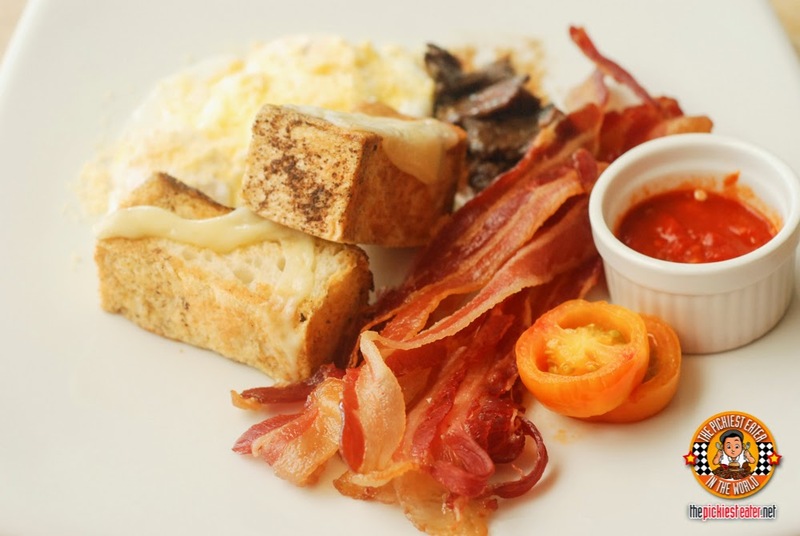 It comes with savory french toast with double baked cheese, grilled bacon, spicy tomato chutney, parmesan crumbled poached egg, and slow-roasted tomatoes. Her sister Joan ordered this beautiful Scandinavian Breakfast. This is the seafood breakfast right here. 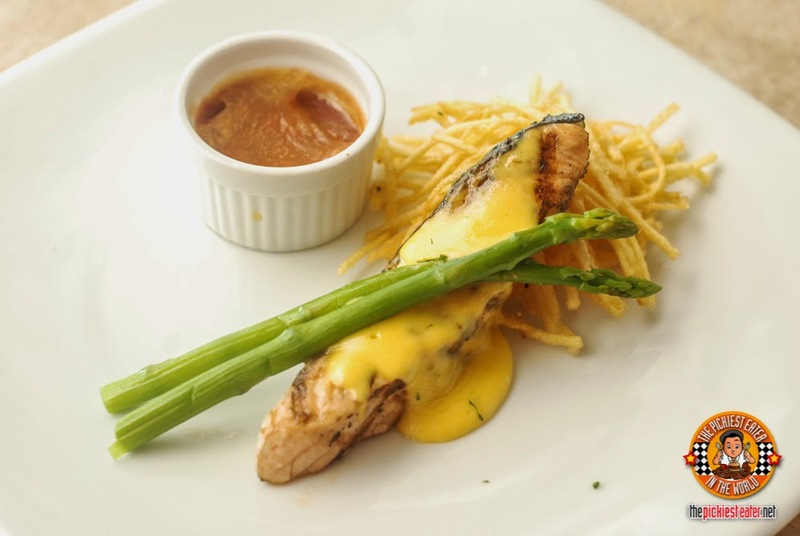 Grilled salmon fillet laying down on a bed of crisp potato rosti, with baked beans, char-grilled asparagus, and hollandaise sauce. 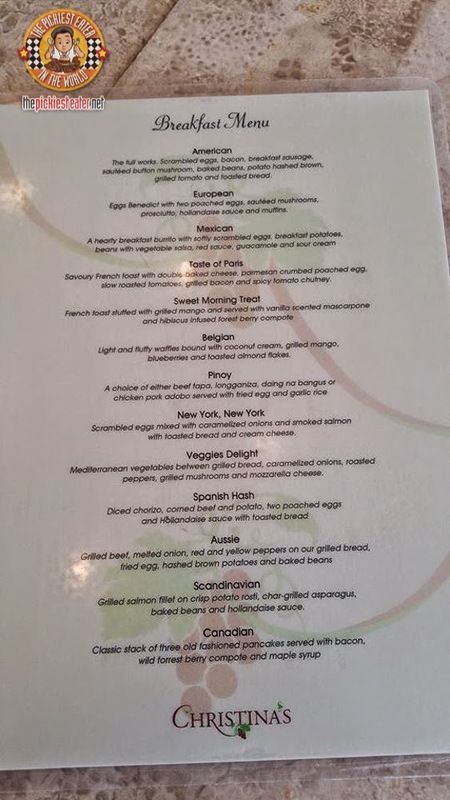 Besides what we ordered, there are nine other delicious sounding ala carte meals available on their Breakfast Menu. It really is a breakfast feast! Right after our delicious morning meal, we stayed inside for a bit to allow our food to go down. 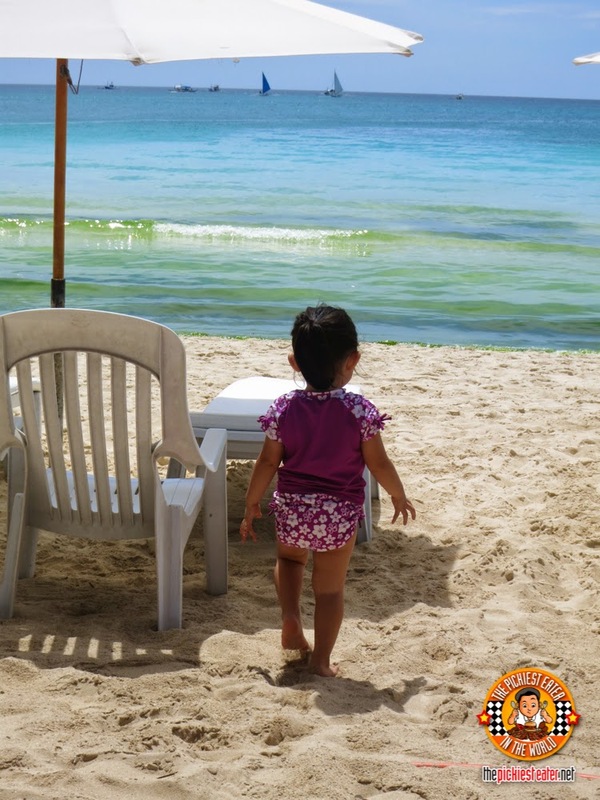 But the little one was ready to hit the beach! Hold on, there’s a little magic going on here. Did you notice? On the previous photo, when we were indoors, my glasses were totally clear. As soon as we stepped outside, tada!!!! It gives me a darker shade, perfect for the beach setting! That’s the power of my Transitions® Signature™ adaptive lenses! It adapts to the level of UV rays you will need at that exact moment. It’s perfect for me who often looses my shades. Let’s see that again side by side. Pretty cool! At least with these Transitions® Signature™ adaptive lenses, I know it will protect my eyes when I need them. 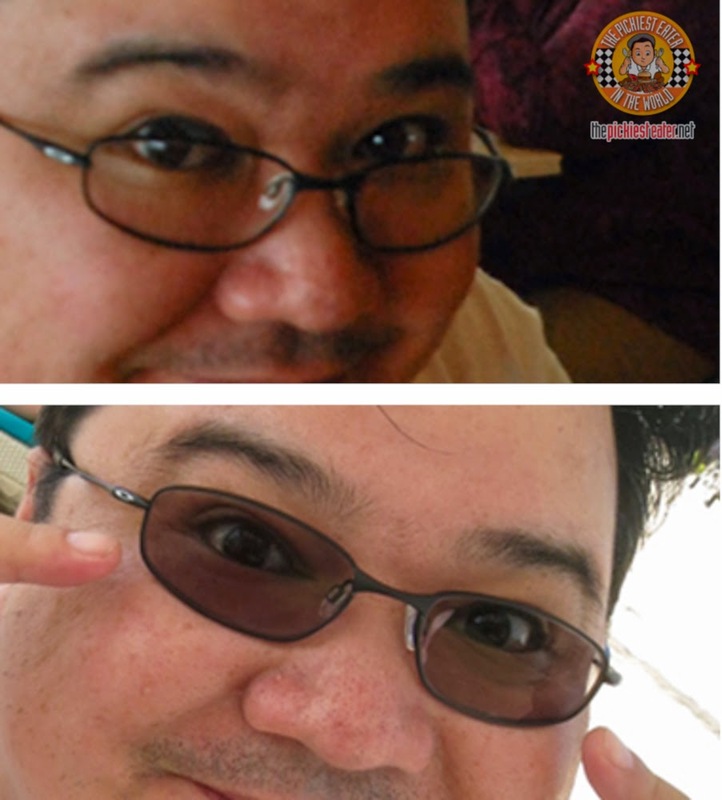 Plus, I get a kick out of my friends’ reaction when they see the shade of my glasses magically turn from clear to dark. The transition from clear to dark is just seamless! I’m thankful for these Transitions® Signature™ adaptive lenses for allowing me to appreciate this beautiful view without squinting my eyes, but at the same time, it adjusted the perfect shade for me that it wasn’t too dark. I was still able to appreciate the details of this beautiful scenery. It was just a perfect day that day. Full and satisfied stomach from Christina’s delicious ala carte breakfast, and then just take a few steps outside and you get to bask in the sun and enjoy this view! 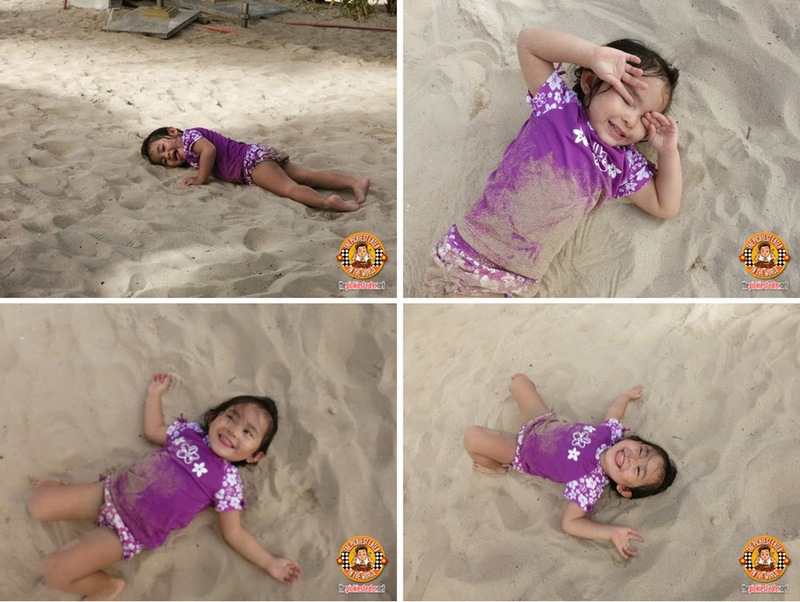 And of course enjoy the powdery sand in their beautiful beach which is what Boracay is loved for! Hope we can go back again next year! I just want to also say that these Transitions® Signature™ adaptive lenses is one of the best glasses I have ever had all my life. Very practical, can be used in all lighting situations, from sunny outdoors in Summer to cool indoor settings (home or work), and evening settings as well. I can safely say I have tried and tested this enough and now I cannot live without them! 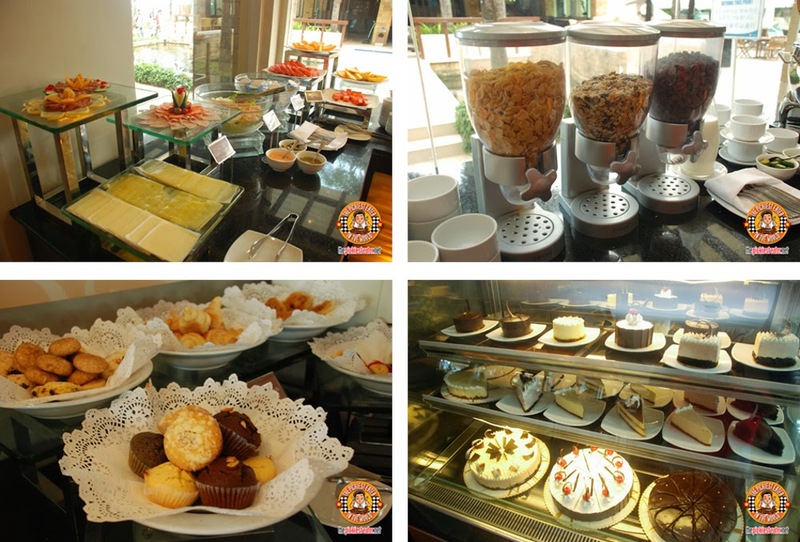 Anyway, if you’re planning to go to Boracay this summer, make sure to set one breakfast at Christina’s! Like them on Facebook for more updates! And if you loved my magical Transitions® Signature™ adaptive lenses, check out their official website here, and see more details in my previous post here and here.